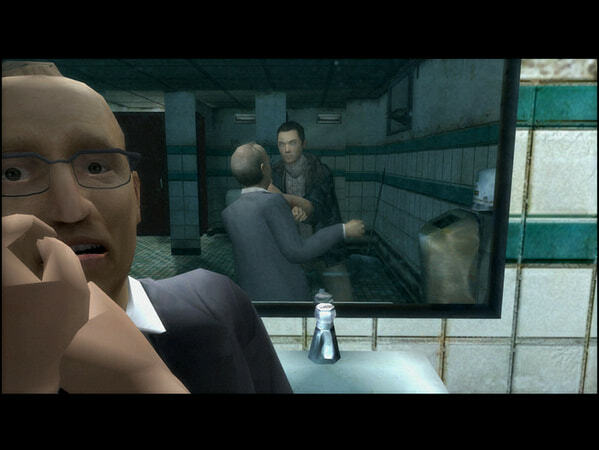 In the men’s room of a diner a mysterious murder takes place. The murderer is an ordinary man. He has no idea who his victim is. But this isn’t an isolated incident. All over New York regular people are killing total strangers. The only link between the killings is that they all show the same ritual patterns. Experience this gripping story as you play each of the four characters in this remarkable game. The murderer: Lucas Kane. The smouldering detective: Carla Valenti. The NYPD Agent: Tyler Miles. And the murderer’s brother and priest: Markus Kane. 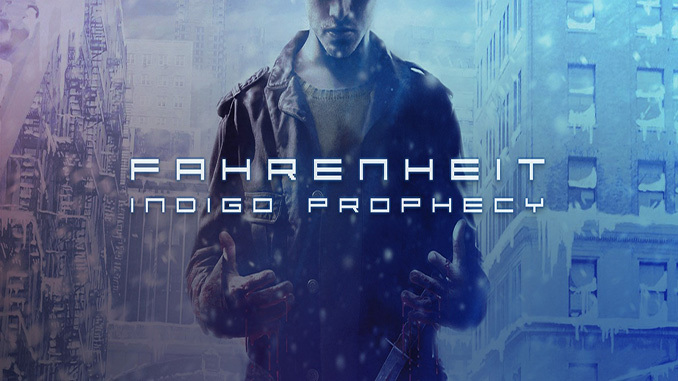 Fahrenheit is a second game made by Quantic Dream – studio responsible for masterpieces such as Omikron: The Nomad Soul and Heavy Rain. All their games were very well received by gamers and Fahrenheit is no exception. 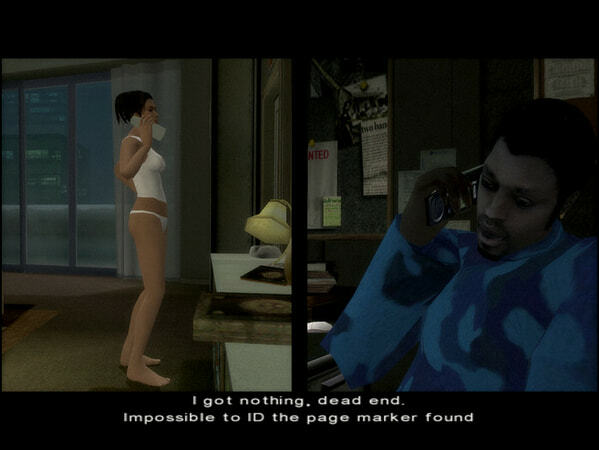 With superb story, groundbreaking gameplay, and Hollywood-level narration Fahrenheit (a.k.a. 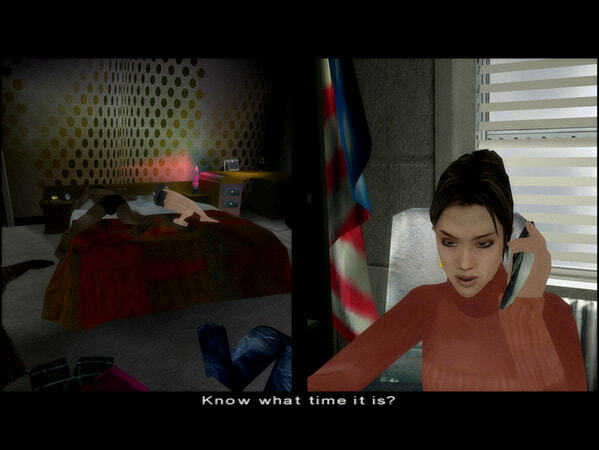 Indigo Propecy) has earned its place as one of the best action adventure games of all time. – Exciting story with science-fiction and paranormal elements, well executed plot twists, and more than one main character. – Enchanting music, superb voice acting, and professionally directed cut scenes. – Unique, movie-like gameplay – almost everything you do just fuels the action and builds up suspense. Windows: XP or Windows Vista, 1.8 GHz Processor, 512MB RAM (1 GB recommended), 3D graphics card compatible with DirectX 9, 2.6GB HDD, Mouse, Keyboard. Thanks for this. I wanted to try it again as I still have the X-box version but no X-box to play it anymore. I’d like to forewarn those who’ve never played the PC version that the controls are crazy and not at all intuitive. You can’t even walk using ASWD: you have to use arrows or push your mouse right and left at the same time (which I can’t do as it’s too much pressure on my wrist). The mini games that used to be fun and easy on X-Box (color coded) are using arrows and keypad numbers here which is beyond awkward. I didn’t make it past the tutorial. Maybe if I didn’t remember how smooth it played on the X-Box I wouldn’t mind making the extra effort learning how to play it on PC. But it looks to me like the creator went head overboard trying to complicate things for nothing. The game downloaded fast though and has to issue that I can see if you don’t mind those controls. My bad. I didn’t see that you can change the controls. Duh! Once reconfigurated it’s smooth and works perfectly for the tutorial at least. Sorry about that. I also meant “no issue” in the comment above, not “to issue”. this is my first time here. is it legal to download free games from your website. Question. Is this the old version or the “Remastered” version like the one from steam?